The Danish award-winning pianist, Elisabeth Homegaard Nielsen, finished her Master's degree from the Royal Danish Academy of Music in Copenhagen and postgradual studies in The Universtity of Music and Performing Arts, Vienna. Elisabeth Nielsen began playing piano at the same time as she was accepted at the Royal Danish School of Ballet; and during all these years she has participated in concerts, competitions and music festivals, in Denmark and abroad. In 2011, finalist in the Scandinavian Yamaha YMFE concert in Göteborg, Sweden. In October 2012, she won three prizes at the international piano competition for young musicians in Enschede, Holland, which led to her performing the Camille Saint-Saëns' Piano Concerto No. 4 with the Netherlands Symphony Orchestra in October 2014. In 2012, after winning First Prize at the Salieri competition in Italy, Elisabeth was invited to study at the first Steinway Academy in Europe, an international school for gifted young musicians in Verona, Italy with Professor Federico Gianello. In 2013, she was a finalist in the soloist competition at The Royal Danish Academy of Music, with Dmitri Shostakovich;s Piano Concerto No. 2. Later, she was chosen to perform the Grieg's Piano Concerto at the 2nd Nordic masterclass for conductors, under the guidance of maestro Jorma Panula, with the National Danish Orchestra of South Jutland. When she was 19-years-old, Elisabeth Nielsen was invited to be member of international jury at the Nuova Coppa Pianisti in Italy. 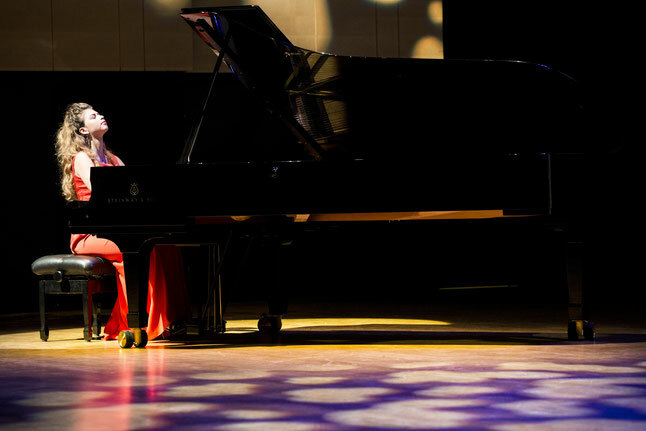 At 21, she became the chairman of the European Piano Teachers Association’s youth department in Denmark and, in March 2014, she organized the “Copenhagen International Piano Weekend for the Youth” – funded by the EU. In May 2015, Elisabeth Nielsen published her first CD with the significant label Danacord, featuring works by J.S. Bach, Robert Schumannand Prokofiev. In 2016 she was a recipient of the prestigious Sonning Talent Prize for young musicians.